Invest in my future so I can change yours! — Salon FundRaiser . . . . . . . . . . STEP (1): SET UP YOUR PERSONAL SALON FUNDRAISER ACCOUNT . . . . . . . . . . STEP (2): CREATE A FUNDRAISING CAMPAIGN OR PAY $100 FOR US TO CREATE ONE FOR YOUR PROJECT . . . . . . . . . . STEP (3): SHARE YOUR CAMPAIGN ON SOCIAL MEDIA THEN ASK FRIENDS AND FAMILY TO GIVE AND HELP SUPPORT YOUR PROJECT . . . . . . . . . . STEP (4): WHEN YOU REACH YOUR GOAL YOU CAN COLLECT YOUR MONEY IN AS LITTLE AS 30 DAYS . . . . . . . . . . . 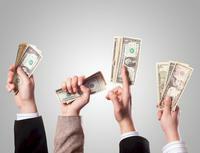 STEP (5): USE THE FUNDS TO FINISH YOUR PROJECT!!! . . . . . . . . . . . . . . . Invest in my future so I can change yours! With every contribution amount, you will be given a discounted hairstyle at Paul Mitchell by me. Hi, my name is Laya Risper. Let me start by saying thank you for taking the time out of your busy day to even click on to my fundraiser. I have been doing other’s hair since 2011, and I have been doing my own hair since I was in 3rd grade. My mom has always been a working woman and didn’t always have the time or money to keep me dolled up, so being that I grew up in a salon I picked up some skills and began to do my own hair. It wasn’t long before people began to notice how great my work was and started to even let me practice on them despite my young age. It’s just something about a person’s smile once they see their hair transformation that just lights me up inside. That warms feeling I receive every time I bring out a clients beauty is indescribable and worth far more than any payment. This drives me to want to make enough money so that I may travel the world giving free hairstyles and haircuts so those who are homeless, abused women, men, and children, battered teens, and even those who undergo confidence destroying diseases such as leukemia and cancer. I aim my talents towards these specific people because these are the type of people who are often left in the dark. These type of people are the ones who have been broken down and simply forgotten that no matter how hard they may have thought life knocked them down, they are still beautiful. I want these specific people who have had to taken the harder roads in life to know that they are not alone. I want to help them regain the confidence and the fire in their souls that they were born with. Society has such a huge problem with body shaming people and trying to define what it means to be beautiful. This problem has been around so long it has taken over some people’s will to live another day in a world that they will be judged just for the way they look. I am GOING to break down this barrier and destroy this mindset that society wishes to impose on us. I am willing to work past my retirement age and change the way society thinks one hairstyle at a time. Although I am determined and willing, I am going to need your help. Your donations will help this inevitable goal of mine be achieved much faster. The more people we get involved with my cause, the faster we can wake up living in a world without judgement. We will be able to live in a world where we won’t have to worry about our future generation of children being bullied for their physical appearance. We won’t have to live in a world where we grow grey stressing over not meeting society’s standards. We won’t have to live in a world where beauty has one definition. Your donation no matter the amount is the beginning of a new world that everyone feels beautiful in. It’s no secret that any type of secondary education is very expensive. For a girl like me straight out of high school with no job, it just makes things even more difficult to make ends meet. Don’t get me wrong, I’m no stranger to hard work. Although I am asking for your help, I still work hard everyday to make as much as I can by bringing in small hair clients, doing nails, and even booking makeup clients. But even with the money I make on my own, it just isn’t enough. 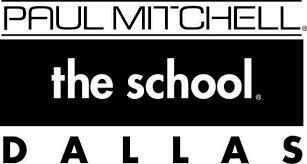 Paul Mitchell isn’t a cheap school, but it is the best by far. I’ve visited, called, questioned, and reviewed so many other cosmetology schools and not one of them come even close in comparison to Paul Mitchell. Everyone I know or have even heard of who attended this school can back me up when I say you are guaranteed a career when you graduate almost instantly. Not all cosmetology schools are willing to put in the extra hours to teach you how to turn your passion into a business. I have so much ambition and will power to make a positive change in not only my community, but in everyone I meet. I truly believe that Paul Mitchell will help me be successful in taking a part in God’s work by uplifting spirits and spreading positivity.